In the United States of America Mother's Day was first suggested in the year 1872 by Julia Ward Howe who wrote the words to the Battle hymn of the Republic as a day dedicated to peace. She would hold an organized Mother's Day meeting in Boston, Massachusetts every year. 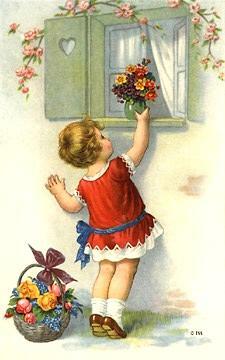 It wasn't until in 1907 when Anna Jarvis, from Philadelphia, began a campaign to establish a national Mother's Day. Ms. Jarvis persuaded her mother's church in Grafton, West Virginia to celebrate Mother's Day on the second anniversary of her mother's death, the 2nd Sunday of May. By the next year Mother's Day was also celebrated in Philadelphia. She and several of her supporters began to write to ministers, businessman, and politicians in their endeavour to establish a national Mother's Day. In 1910, the governor of West Virginia proclaimed the second Sunday in May as Mother's Day and a year later every state celebrated it. 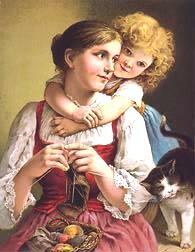 It was successful as by 1911 Mother's Day was celebrated in almost every state. President Woodrow Wilson, in 1914, made the official announcement proclaiming Mother's Day as a national holiday that was to be held each year on the 2nd Sunday of May.